An options panel allows you to change settings on-the-fly without the need to reinstall. 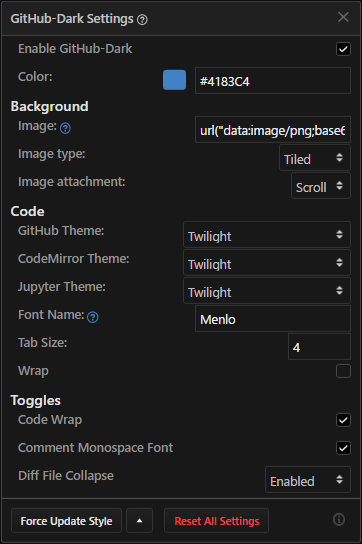 Adds a code wrap toggle button to every code block. Adds a monospace font toggle to comment textareas. Adds a diff file view toggle to collapse or expand blocks.